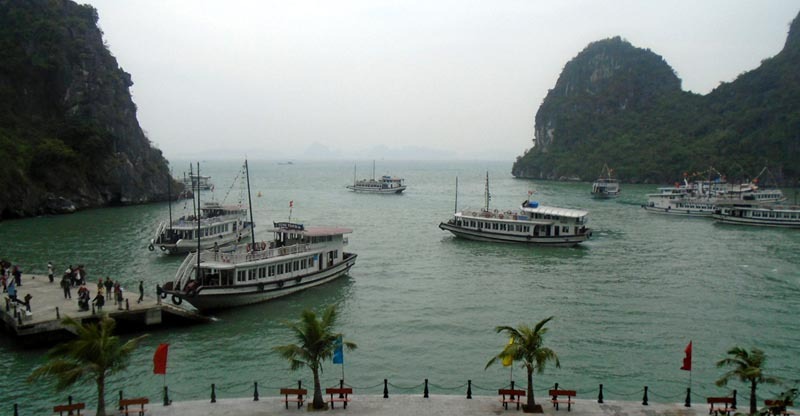 The pictures of Halong Bay are stamped on every Vietnam tourism campaign - the Chinese Junk cruising on the bay, the eccentric shapes of the monolithic limestone karsts topped by dense jungle brush, the massive caves within, the sprinkling of islets, etc. It's no wonder it is a UNESCO World Heritage Site. 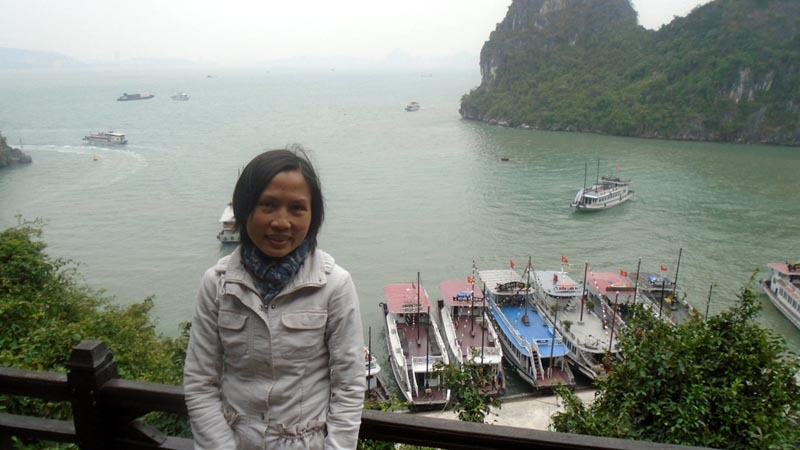 Tuyen and I could have just booked a tour for Halong Bay with the myriad of tour agencies in Hanoi. 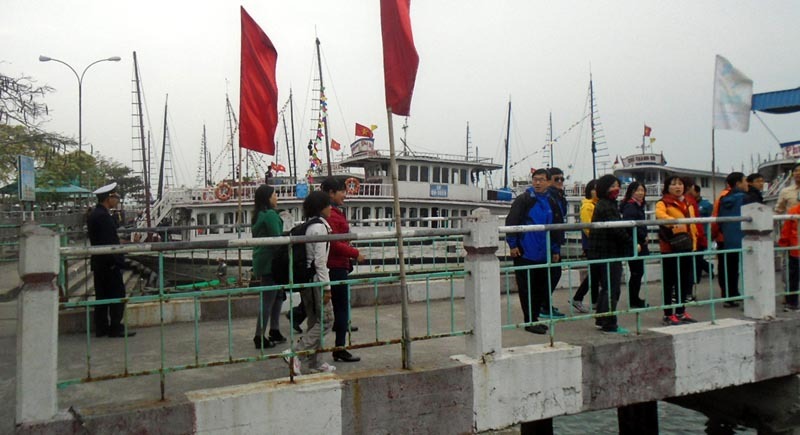 At $32/pax (cheapest day tour), it didn't sound so bad - hotel pick-up, everything arranged for, the boat, the transfers including hotel drop-off. But we thought we could save further by doing it ourselves. It turns out it wasn't such a good idea. Considering the hassle and all the aggravation, the savings wasn't that significant. 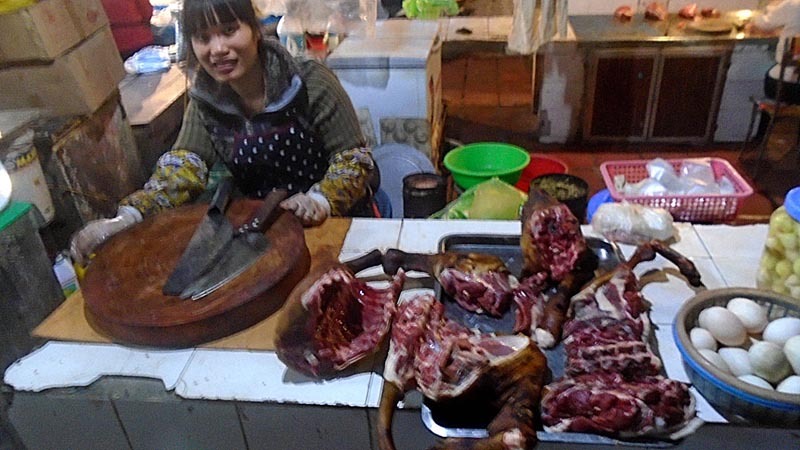 People from the north have a reputation in Vietnam for being rough, tough and aggressive. 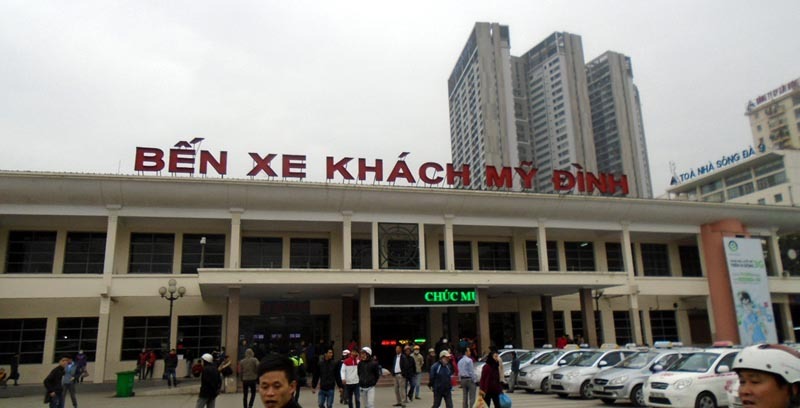 Our first experience with that was at the bus terminal in Hanoi. We were buying bus tickets for Halong Bay. As soon as we entered the terminal, this guy offered to sell his bus service to us. We said no. He continued persisting even though we were already lined up with a different company. He used intimidation, harassment and hard sell - everything that was described to me about people from the north. He only let up when we actually had the other company's ticket on hand. I was told this is how they do things in the north. Upon arrival, we learned we already missed the last boat which meant having to book an unplanned hotel stay for a day - more money coming out. 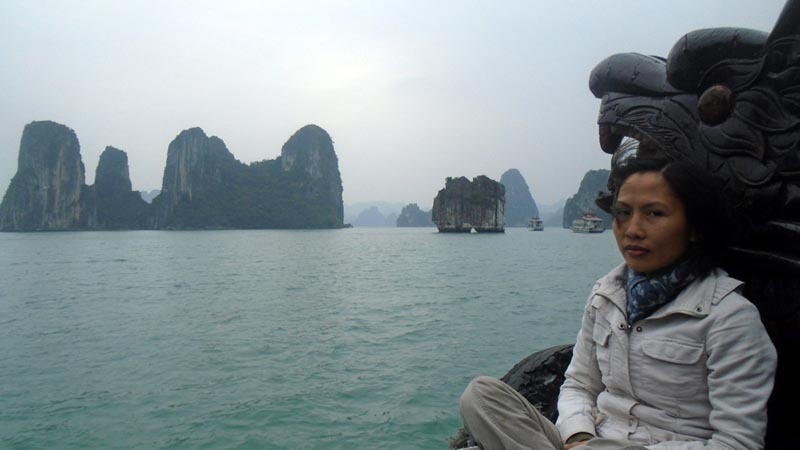 However, staying one more day in Halong Bay wasn't all that bad. 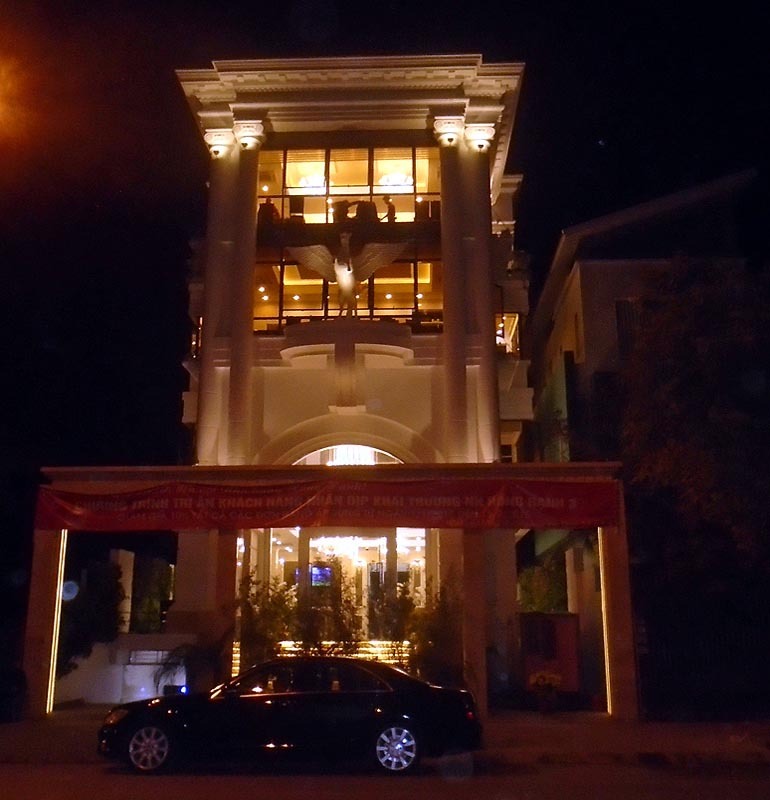 We got a good hotel deal since Tuyen's friend knew a hotel owner in the area. Also, we weren't rushed. We had more time to take a leisurely walk around town and enjoy tea by the boardwalk...in the chilling cold. The following day at the wharf, our party boat didn't leave on time as it waited for more passengers to come. This angered the other passengers and we witnessed another episode of how the people from the north settle things. One foreigner who has taken up residency demanded the boat left immediately. He started being obnoxious even claiming he can behave any way he wants to behave because he was a tourist. Tuyen tried to explain things to the guy but he was too agitated. 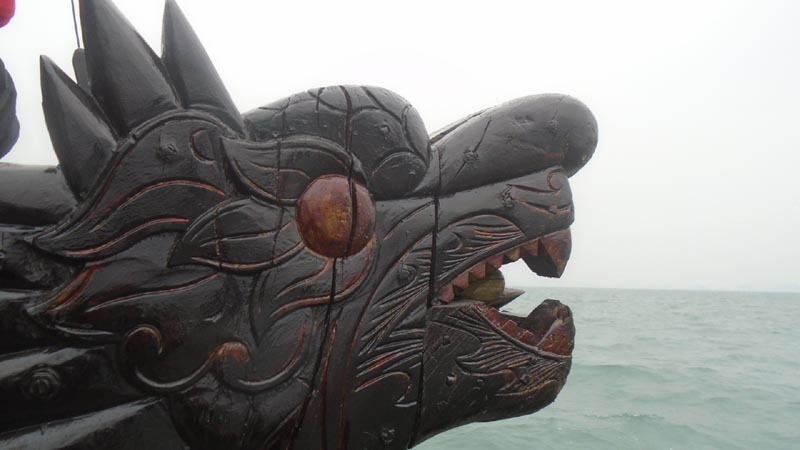 Not to be outdone, a local from the north started throwing his weight around by claiming he's a big man with powerful connections and threatened if the boat did not leave immediately. In a bid to catch up with the other guys, another local from the north loudly exclaimed that the boat should leave immediately without any additional out of pocket money from any of the passengers. At some point, the boat left. After a while, the obnoxious foreigner calmly confided that it was an act and apologized for his "impolite" behavior...that things really had to be done that way to make things happen. 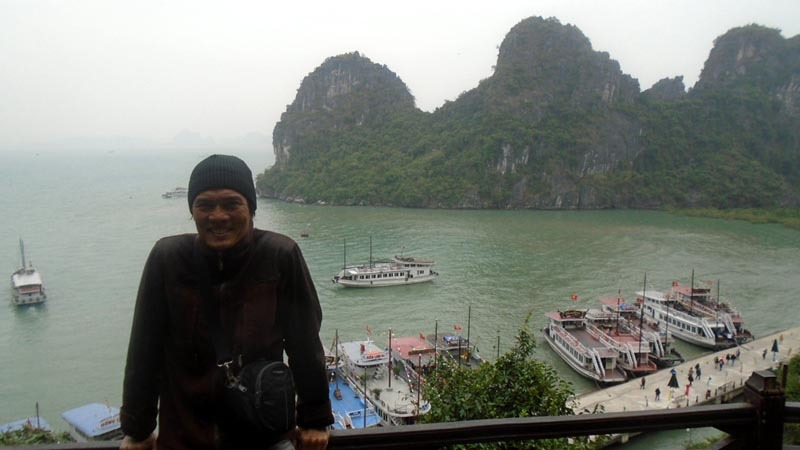 If not for the cold, the cruise on Halong Bay would have been a perfect getaway. The open bay and the sight of the islets ang the limestone karsts are as beautiful as the posters. We stopped by an island with an enormous cave. I'm used to going into pitch-black caves where you wade yourself in neck-deep water, squeeze yourself into narrow openings and climb up a rope with water cascading down your face. 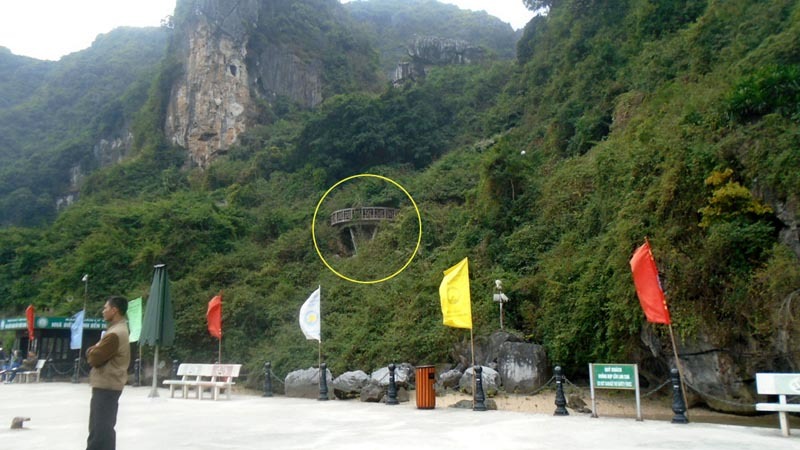 This cave could have offered that except that it has been fully developed to accommodate kids and elders! Concrete steps with handrails were constructed all the way down the cave and out to the exit. The entire cave was lit with psychedelic colors! In fairness though, this is the first time I've seen the inside of the cave in all its entirety. Normally, I only see the part where I focus my headlamp on. There was even an office inside the cave! This type of cave adventure is definitely not for the adrenaline junkie, but if you are a senior with joint problems, you still get the chance to venture inside a cave - otherwise, it would be a physical impossibility. The tour should have lasted 4 hours, but since the boat departed late, we didn't have enough time to max-out the itinerary before it got back to harbor to catch the next batch of passengers - the agitated passengers had a point, although brashly delivered. I was not about to complain. It was too cold anyway to enjoy that kind of activity. 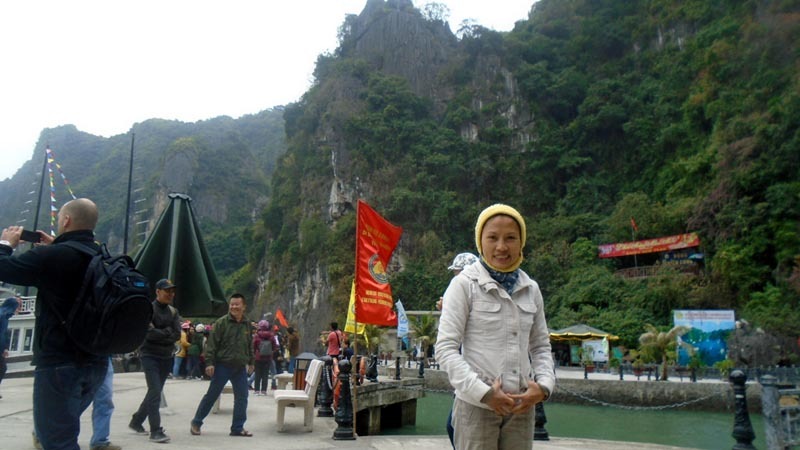 There are many other offerings for Halong Bay - kayaking, overnight tours, more caves, etc. but with cold weather, it was just a case of going out into the bay and check the 'been here, done that' on the list. 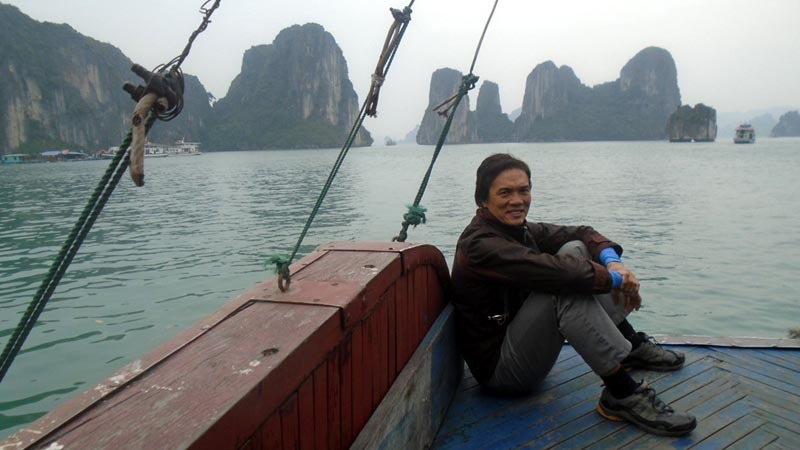 In hindsight, the best way to experience Halong Bay is with a packaged tour on a bright sunny day. The packaged tour was not significantly more but it's more convenient. 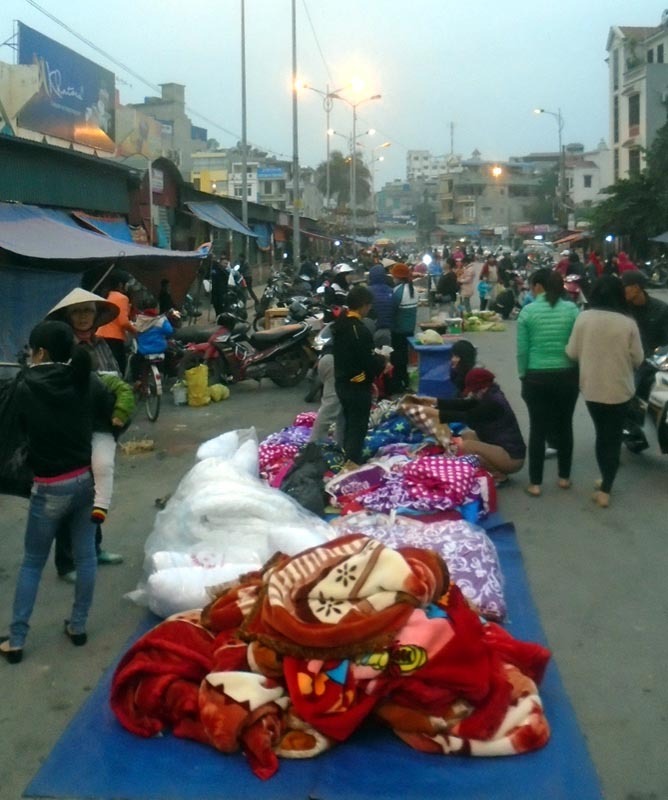 Given the travel time from Hanoi, I would suggest an overnight. 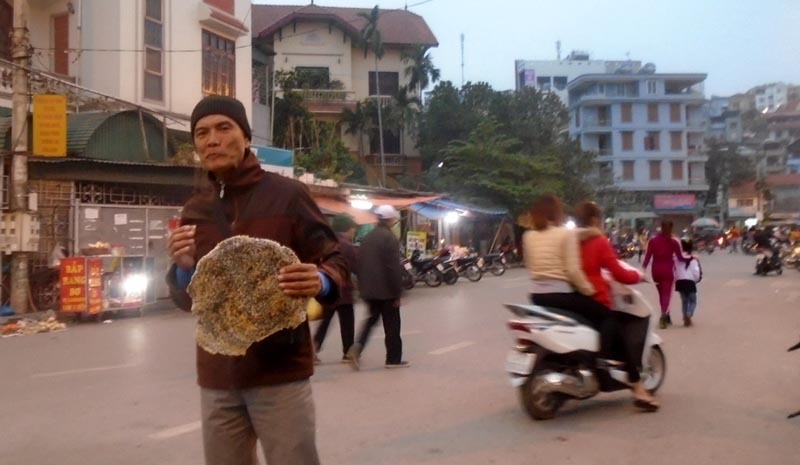 Unlike Laos, Vietnam tours are generally cheap. You still can do it yourself, but you've been warned. 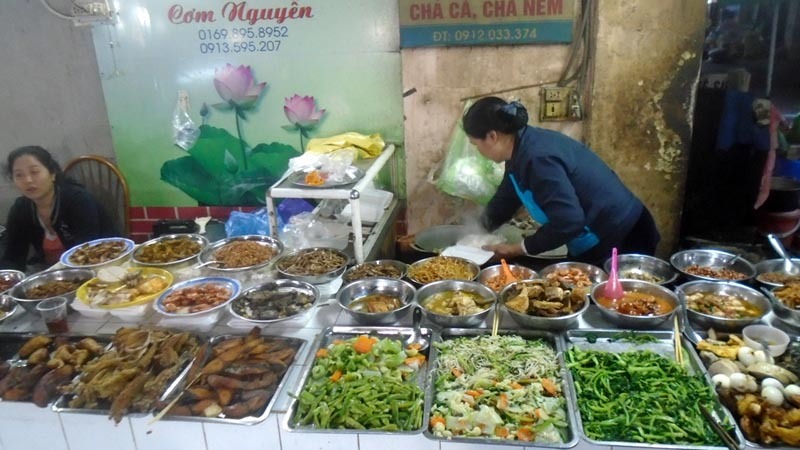 if you booked a package tour in Hanoi, everything should be looked after - hotel pick-up from Hanoi, activities in Halong Bay, and then back to your hotel. Recommended because it has no hassle and it's actually cheaper. 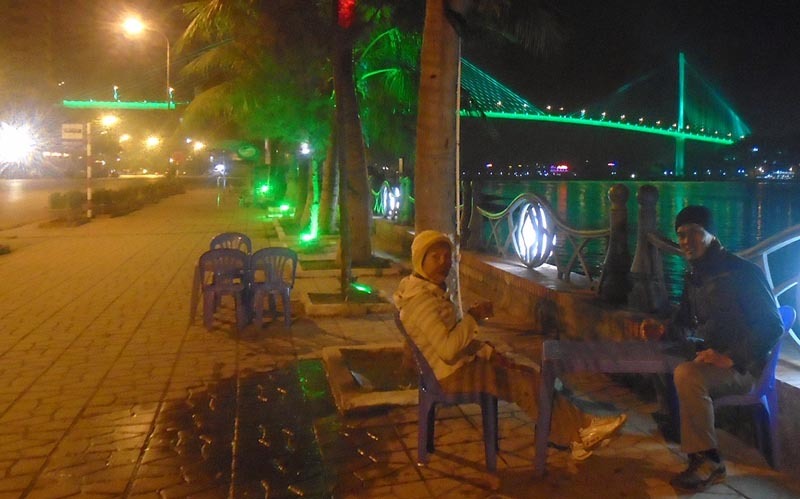 Vietnam tours are generally cheap. 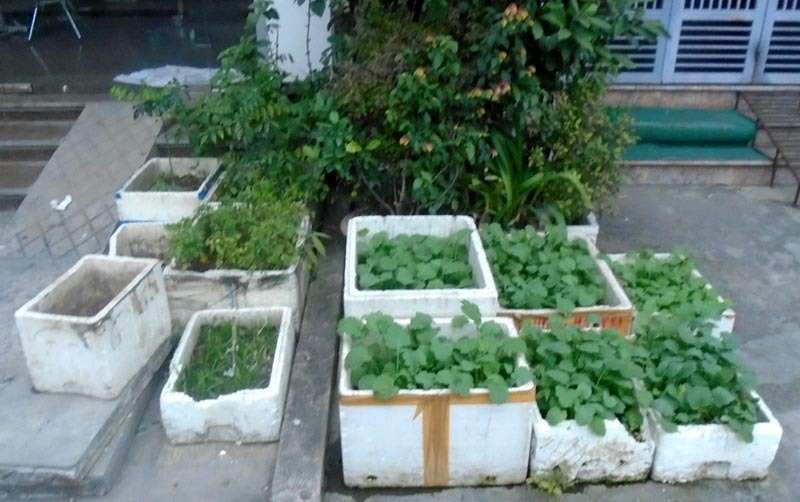 if you want to do it the DYI way (do it yourself), go to the Hanoi bus terminal and take a bus for Halong Bay. Tell the driver you're going to the wharf (if you want to go straight). 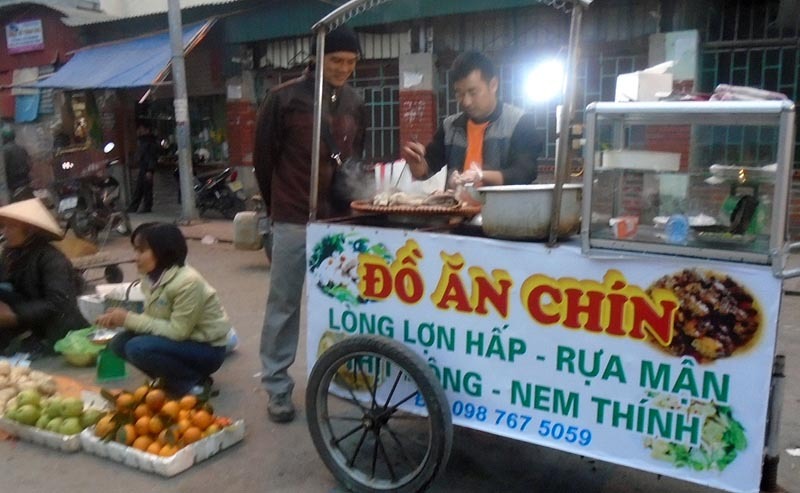 He will drop you off at an obscure location (looking like the middle of nowhere) where you cab it for VND .